3.9 out of 5 based on 44 bloggers and 2 commenters. 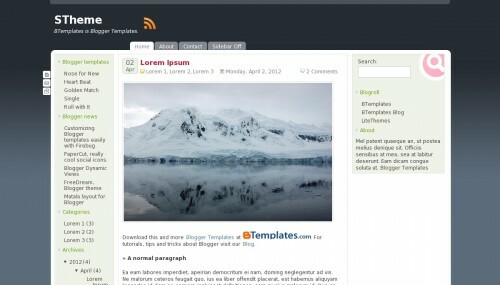 STheme is a free blogger template adapted from WordPress with 3 columns, left and right sidebars, rounded corners and gradients. Nice template, i like this. Muito bom e bonito seu blog. Parabéns pelo bom trabalho!